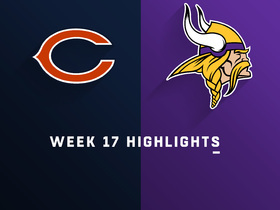 Wims caught four passes for 32 yards in Chicago's Week 17 win over the Vikings, and his output represented his first receptions in his NFL career. Analysis: Wims had a strong preseason, but he ultimately alternated between the fifth and sixth receiver roles on the team Consequently, he rarely logged any snaps. With Joshua Bellamy and Kevin White set to become unrestricted free agents, Wims could open 2019 as the No. 4 wide receiver, potentially moving him closer to seeing regular playing time. Wims (knee) was not on Monday's estimated injury report, Kevin Fishbain of The Athletic reports. 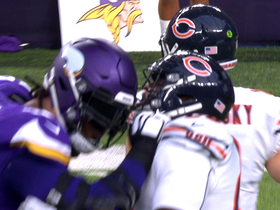 Analysis: Wims missed Sunday's game against the Vikings with a knee issue, but it seems he has recovered from the injury. The rookie wideout has only appeared in three games this season and has yet to catch a pass, so his health will likely not affect Chicago's offensive game plan going forward. Wims (knee) is inactive for Sunday's game against the Vikings, Rich Campbell of the Chicago Tribune reports. Analysis: Wims will remain sidelined for Sunday's divisional tilt against the Vikings despite managing to fully participate in Friday's practice. The rookie seventh-round pick has yet to record a reception this season, and his absence is unlikely to have a notable impact on Chicago's offense. Wims (knee) carries the questionable tag for Sunday's matchup against the Vikings, Rich Campbell of the Chicago Tribune reports. Analysis: Wims was added to the injury report in the middle of the week after logging a limited practice Thursday. The Georgia product was able to practice in full Friday, however. If Wims is able to play Sunday, his role will likely be limited -- Wims logged just eight offensive snaps in his last three games. Wims (coach's decision) is listed as inactive for Sunday's contest against the Lions, Rich Campbell of the Chicago Tribune reports. 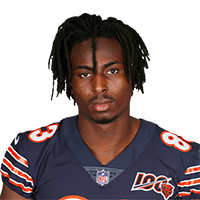 Analysis: Wims will be a healthy scratch after earning just six offensive snaps during the Bears' Week 9 blowout win over the Bills. Chicago will deploy four active receivers against the Lions with Kevin White (coach's decision) also sidelined. Wims (coach's decision) is listed as inactive for Sunday's game against the Dolphins. Analysis: Wims was active Week 4 against the Buccaneers when he logged a target on his lone offensive snap, but he won't suit up Sunday with the Bears' receiving corps in good health. Wims caught four of five targets for 114 yards and a touchdown during Saturday's 27-20 preseason win over the Chiefs. Wims (quadriceps) returned to practice Sunday, Rich Campbell of the Chicago Tribune reports. Analysis: Wims hurt his right quad at Saturday's practice, but the injury must not be too serious. He's been impressive so far this preseason, catching nine passes for 95 yards in two games. Wims sustained a right quadriceps injury at practice Saturday, Rich Campbell of the Chicago Tribune reports. Analysis: Wims has been a nice surprise as a seventh-round pick out of Georgia. He produced well in the Hall of Fame Game loss to the Ravens and has nine catches for 95 yards in two preseason games. At 6-foot-4, 215 pounds, Wims has the size to compete with NFL cornerbacks. 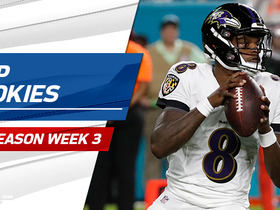 Wims caught seven passes for 89 yards in Thursday's loss to the Ravens. Analysis: Wims primarily did his damage with Tyler Bray at quarterback while facing the deepest of the Ravens' reserves. The rookie led the team in all receiving categories, including 10 targets. Although he certainly played well, unless he begins to have success while playing meaningful preseason snaps, he'll still have his work cut out for him to earn a spot on the 53-man roster.